How did mystery man go from Howard Hughes hoax to being witness at one of Seattle’s biggest murder cases? Relatives and friends of two cannery-union reformers gunned down in Seattle in 1981 are pushing the FBI to release more information about a mystery man who tried to help the killers and had ties to the fake will of billionaire recluse Howard Hughes. Nearly 37 years after the brazen murders of two reformers in Seattle’s cannery union, their families, friends and community leaders are asking the FBI to help unlock a lingering mystery in the case. They’re pushing the FBI to release information about a surprise defense witness who tried to cast doubt on the guilt of two men on trial in 1981 for the fatal shootings of Silme Domingo and Gene Viernes in the Pioneer Square headquarters of Cannery Workers Local 37. The witness — who later claimed to be an FBI informant — had also played a major role in one of the 20th century’s most audacious hoaxes — the infamous fake “Mormon will” of billionaire recluse Howard Hughes. The murders of Domingo and Viernes on June 1, 1981, rocked Seattle. 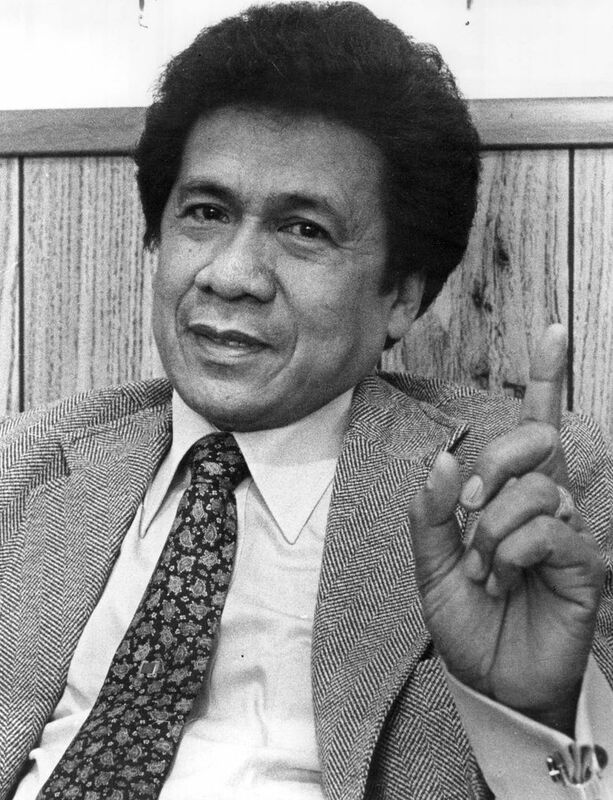 The two Filipino men, both 29, had pushed for reforms in the union, which sent predominantly Filipino workers to Alaska’s seafood canneries. They also openly opposed the regime of Philippine President Ferdinand Marcos, which would emerge as a factor in the killings much later. The defendants, Jimmy Ramil and Ben Guloy, were members of a Filipino gang upset over a change in dispatch procedures that kept its members from being sent to Alaska, where they wanted to run gambling operations in the bunkhouses. In 11th-hour testimony, the surprise witness, a construction manager named LeVane Forsythe, claimed to have seen someone other than the defendants fleeing the union offices. But the prosecutor blew apart the testimony of the mystery man when she unearthed the Hughes connection. 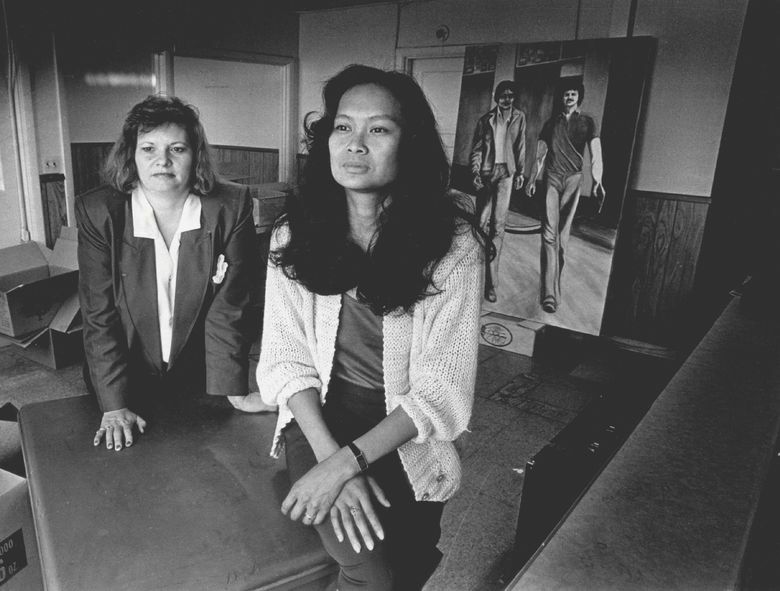 Jurors convicted Ramil and Guloy, and Forsythe faded into the background before dying in 1988. Michael Withey, a lawyer who has written a new book about the murders and his work on the case, and Sharon Maeda, an independent filmmaker working on a movie about Domingo and Viernes, filed a Freedom of Information Act request with the FBI in 2015 seeking records related to Forsythe. 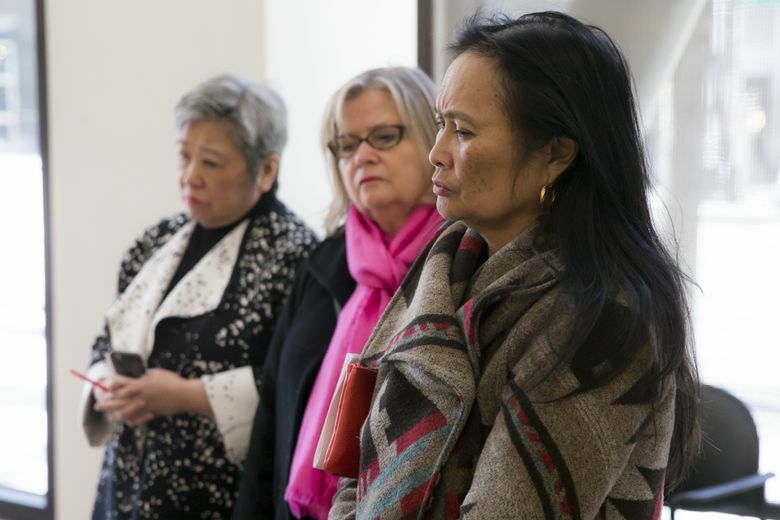 On Wednesday, Withey and Maeda, joined by Domingo’s widow, Terri Mast, and his sister, Cindy Domingo, delivered a petition with 58 signatures to the FBI’s Seattle office asking for the immediate release of records they say the FBI has delayed releasing. They also want an investigation into what the FBI knew about Forsythe’s activities and testimony. “I think there is always still questions in our minds about what happened,” Mast said. How and why Forsythe happened to be at the scene of the murders is among the questions they have. Forsythe, who contacted the defense, testified he had stopped to use a nearby pay phone when he saw a man go in and out of the union hall at the time of the shootings. Looking at Ramil and Guloy, he said didn’t recognize either as the man he saw. His testimony contradicted the dying words of Domingo, who had told two firefighters treating his wounds that Ramil and Guloy had committed the shootings. Forsythe further told the jury he witnessed the wounded Domingo emerge from the building and, when he asked Domingo who had shot him, he responded that he didn’t know. In 1977, Forsythe had claimed he worked for Hughes for decades and delivered the will to Dummar as arranged before the business mogul’s death in 1976, according to a United Press International story on Forsythe’s testimony in the cannery union trial. The document was dubbed the “Mormon will” because it mysteriously appeared on the desk of an official of The Church of Jesus Christ of Latter-day Saints in Salt Lake City, according to an Associated Press story. In 1978, a Las Vegas jury found the will to be a fraud, rejecting the stories of Dummar and Forsythe. After Ramil and Guloy were convicted, prosecutors charged the head of the Filipino gang, Tony Dictado, the alleged getaway driver, and a jury found him guilty in 1982. Although the gun Ramil used in the shootings was traced to the president of the cannery union, Constantine “Tony” Baruso, prosecutors said they didn’t have enough evidence to charge him. Others saw a wider conspiracy. In 1982, the Domingo and Viernes estates filed a federal civil lawsuit naming a number of defendants, including Baruso and Marcos, the Philippine president. 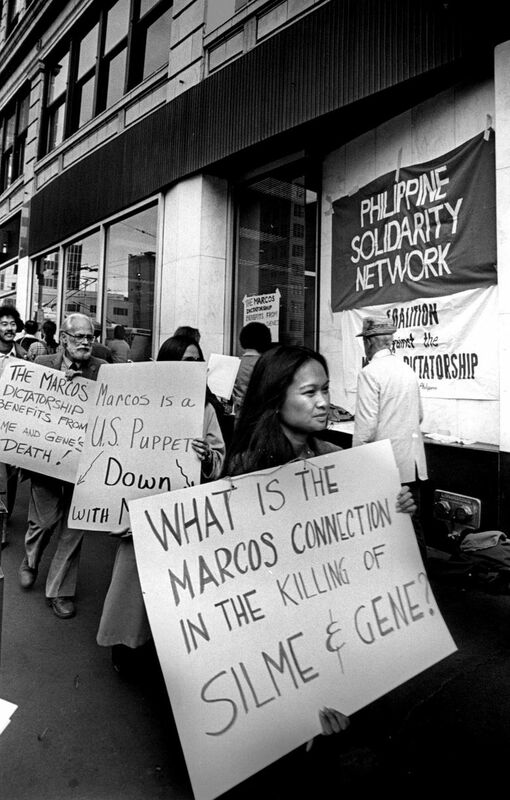 The suit accused the Marcos government of ordering the murders and contended his agents attempted to portray the killings as a local union dispute, when in reality the primary motive was to wipe out anti-Marcos resistance in the U.S. In preparing for the trial, Withey questioned Forsythe during a deposition in 1985. Forsythe testified he had worked as an informant for the FBI as part of a task force with other federal agencies in California, but provided few critical details, according to Withey. Withey came away convinced Forsythe had been at the scene of the cannery union murders, based on Forsythe’s descriptions, but with many questions. In the end, Forsythe’s testimony wasn’t presented at the trial, despite a federal agent’s limited pretrial testimony confirming Forsythe had worked as an informant. 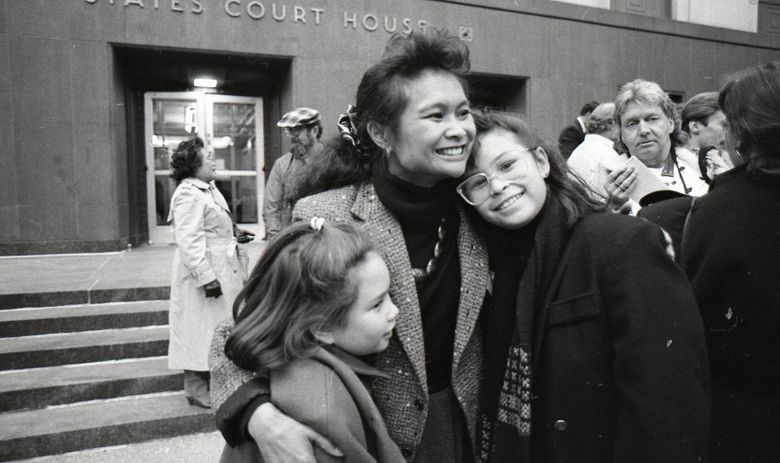 The trial began on Nov. 20, 1989, with a young Seattle attorney, Jeffery Robinson, delivering a riveting opening statement that outlined a web of connections and foreshadowed his stellar legal career that followed. Under questioning by Robinson, Baruso repeatedly invoked his Fifth Amendment right against self-incrimination. The jury found the estate of Marcos, who had died months before the trial, and his wife, Imelda, liable in the murders, awarding more than $15 million to the survivors of Domingo and Viernes. Weeks later, Rothstein separately decided on the liability of Baruso and another defendant, Leonilo Malabed, a San Francisco doctor. Malabed, a Marcos friend, had been accused during the trial of controlling a secret intelligence fund from which $15,000 was used to pay for the murders, according to news reports. Rothstein found both responsible and awarded an additional $8.3 million in damages. “Marcos created and controlled an intelligence operation which plotted the murders of Domingo and Viernes and … funds were paid to Baruso and used to perpetrate the murders,” she concluded. After the defendants filed appeals, the survivors reached a settlement totaling $3 million. “We never did it for the money,” Withey writes. County prosecutors took another look at the case and charged Baruso. He was convicted of plotting one of the murders in an unusual split verdict, sentenced to life and, at age 80, died in prison on Nov. 14, 2008. It was while writing his book that Withey and filmmaker Maeda filed their 2015 Freedom of Information request. The FBI responded that it had no records related to Forsythe‘s alleged work in California because they had been destroyed, according to Withey. But the FBI acknowledged it possessed 1,276 pages related to a loan-shark investigation in Seattle in which Forsythe worked as an informant between 1980 and 1986 but as a “bit player,” according to correspondence between Withey and FBI officials. In the petition submitted to the FBI Wednesday, it notes the time span covers the period when the murders and Forsythe’s testimony occurred. In addition to documents, the petition asks the FBI to produce the names of any agents in Seattle or elsewhere who dealt with Forsythe, and to refer the matter to federal attorneys to determine if any criminal wrongdoing occurred. Among those who signed the petition were Tina Podlodowski, chair of the Washington’s Democratic Party; State Sen. Bob Hasegawa, D-Seattle; Estela Ortega, executive director of the social-justice organization El Centro de la Raza in Seattle; and Thomas Hillier, the former federal public defender in Seattle. An FBI duty agent who accepted the materials Wednesday read the petition, asked a few questions, jotted some notes and said he would forward the information. FBI spokeswoman Ayn Dietrich-Williams said the bureau, as a rule, doesn’t discuss criminal complaints to protect the privacy of people. But all complaints are reviewed for their merit to determine what action might be warranted, she said. Afterward, Cindy Domingo, head of the Committee for Justice and Domingo and Viernes, spoke of the emotional toll of revisiting the murders. “It’s still very hard to go back to those days,” she said, her voice breaking. But, she said, she had been waiting for the day Withey planned to renew their efforts. Correction: An earlier version of this story omitted the first name of prosecutor Joanne Maida.